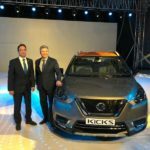 Nissan has launched the Kicks SUV in India with prices starting at Rs.9.55 Lakh ex showroom. The Nissan Kicks is available in Petrol and Diesel engine options. The bookings for the Kicks were already opened in December. Deliveries of the Kicks begin from the end of this month. Available in four petrol and four diesel trims the SUV is available in 11 body color options, of which 7 are single-tone and 4 are dual-tone options to choose from. The Nissan Kicks is the official car for the 2019 ICC Cricket World Cup. The Nissan Kicks is available in XL, XV, XV Premium and XV Premium Plus varients. The XL and XV are for both Petrol and Diesel while the XV Premium and XV Premium Plus will only have Diesel options. The Nissan Kicks also comes with attractive 3 year warranty combined with 3 year 24/7 road side assistance and 3 year service maintenance package for the 1st 10,000 customers which can be extended to 5 years by paying a fee. You also have an option to choose from nearly 27 categories of accessories for the Kicks. 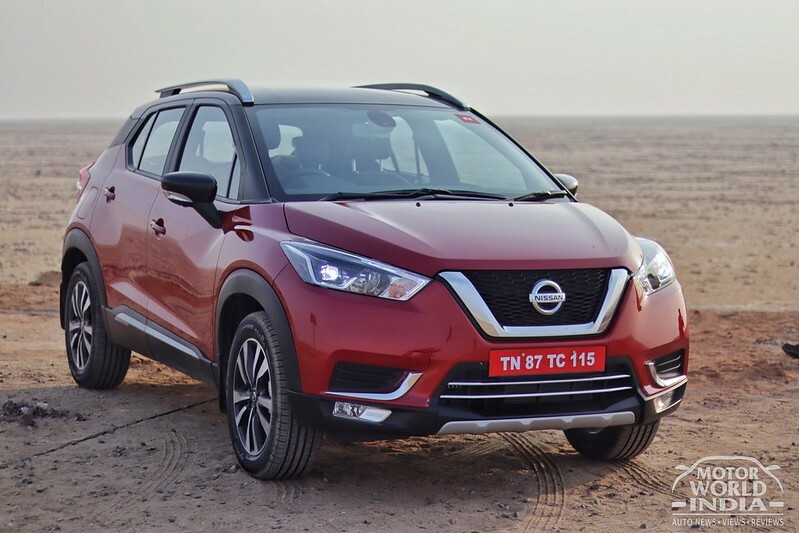 Nissan has loaded the Kicks with dual front airbags, LED DRL’s, power windows , height adjustable drivers seat, electrically adjustable wing mirrors with LED turn indicators, climate control and rear AC vents standard right from the base variant. The top end variant of the Nissan Kicks gets additional features like the 360 degrees surround camera while from the XV trim the Kicks comes with an 8 inch touchscreen infotainment system. 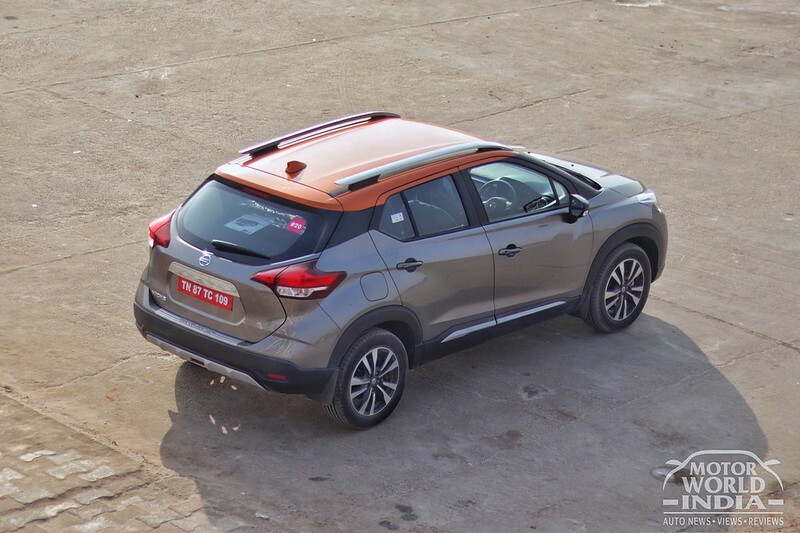 The Nissan KICKS also gets safety features like ABS with EBD, Brake assist, Hill start etc. The Nissan Kicks comes powered with the 1.5L Petrol and 1.5L Diesel engines. The Petrol engine produces 105bhp of power and 142Nm of torque and comes mated to a 5-speed manual transmission. The diesel version of the Kicks makes 108bhp of power and 240Nm of torque. This version comes with a 6-speed manual transmission. The petrol Kicks is rated at 14.23KMPL while the Diesel version is rated at 20.4KMPL of fuel efficiency. The Nissan Kicks is available in Perl WHite, Blade Silver, Bronze Grey, Amber Orange, Deep Blue Perl, Night Shade and Fire Red paint options, the dual tone paint options include Fire Red and Onyx Black, Bronze Grey and Amber Orange, Perl White and Onyx Black and Pearl White and Amber Orange combinations. 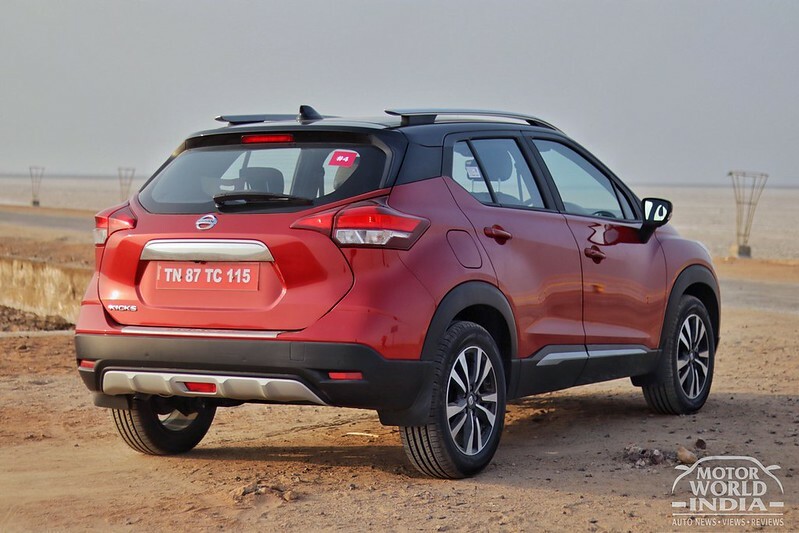 The Nissan Kicks the D segment and takes on the likes of the leader Hyundai Creta, Renault Captur, Renault Duster, Maruti Suzuki S-Cross, the upcoming Kia SP2i.